Nickelodeon’s Double Dare Kicks Off Multi-City U.S. Tour! 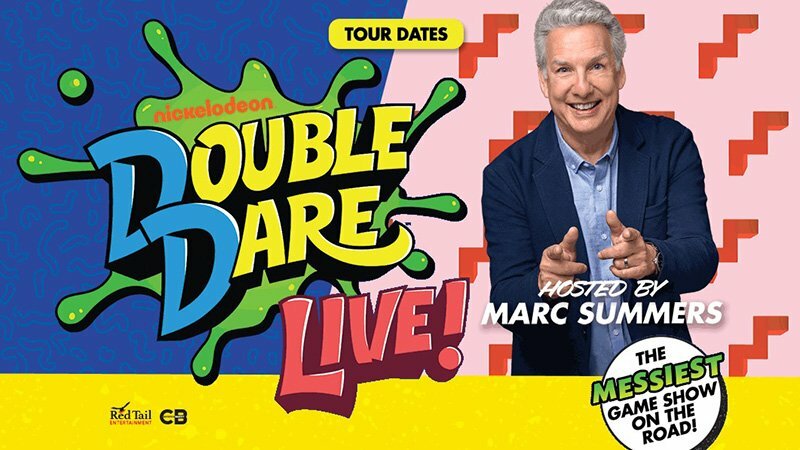 Nickelodeon announced today that they are kicking off Nickelodeon’s Doube Dare Live, a multi-city live stage tour inspired by the iconic TV game show Double Dare. Featuring original host Marc Summers and his beloved sidekick Robin Russo, the live stage show will debut in Fayetteville, NC, on October 30 and will tour North America through November. Tickets go on sale to the general public Friday, August 24 at 10:00 a.m. Fans can visit doubledarelivetour.com for a list of upcoming Double Dare Live tour cities, times, and ticket information. The live tour is produced in partnership with Red Tail Productions, LLC and CB Entertainment. The post Nickelodeon’s Double Dare Kicks Off Multi-City U.S. Tour! appeared first on ComingSoon.net.